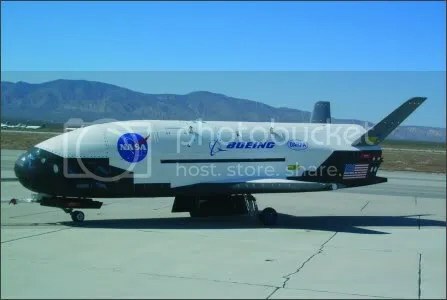 The X-37B was designed to fit snugly in a space shuttle’s payload bay, at about 29 feet long, less than 10 feet tall and with a wing span nearly 15 feet across. It was a NASA project until 2004; now the spacecraft belongs to the Air Force and Defense Advanced Research Projects Agency (DARPA), which hasn’t released its cost or future plans for the spacecraft. An Atlas-V(501) launch costs about $190 million. Thanks for the link…I’ll add it to the repost……. We know what it’s future will be…. Does the x37 have the ability to change orbit . . a little, a lot, or not at all ? Thanks for the question…..yes..it’s gonna be up there for while…..